We offer a free site survey service across the UK on all new projects. Let Lavastar take away the stress of applying for planning permission on your printed hoardings or building wraps. Lavastar have an experienced in house graphic design team. Removing the need for you to use an external design agency to design your signage. Lavastar manufacture the large majority of our signage in house at our head office in Hampshire. Our install team all hold CSCS cards. Lavastar is CHAS approved and fully insured giving you the client total peace of mind. If your signage needs update or repairs our in house sign maintenance team will be here to help. In a world where working days are longer than ever, it is important to ensure that your staff have a positive association with their workplace. One way to achieve this is to improve on your office signage and branding. Lavastar are experts in this field and have transformed some of the dullest, most uninspiring offices into somewhere their staff are proud to work. Lavastar take a very personal approach when it comes to office signage. We will always come and visit the space which we will be branding so we are able to get a real feel for it and can start discussing our creative ideas with you right from the word go. We will also carry out a free site survey while we’re at it, taking all the necessary measurements and planning access for when installation day comes. 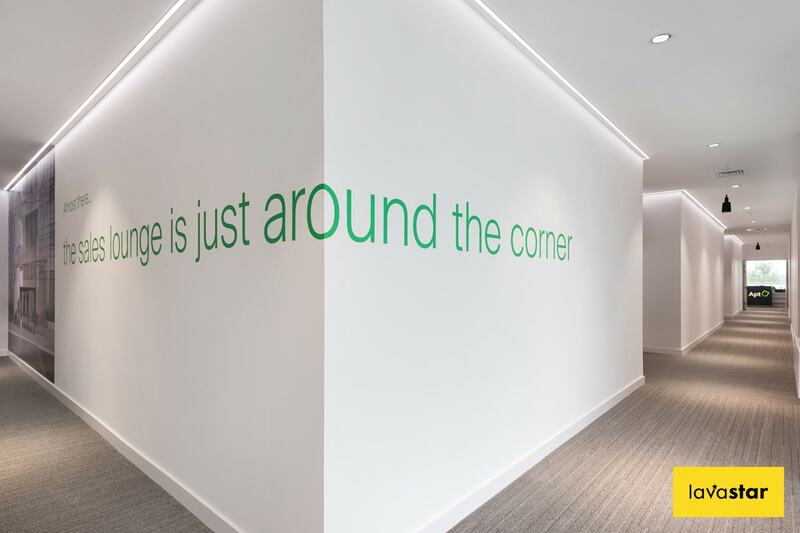 We have an expert knowledge of a wide variety of materials that can be used to maximise the impact of your office branding. We always love to experiment with materials in our designs, so if there is a particular material or theme you might like to incorporate, by all means please share this with us. 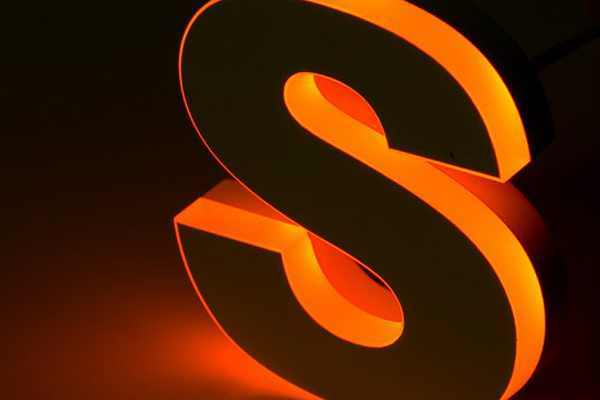 Our in-house design team can produce advanced visuals for your office signage, as well as supply material samples, so you can get an accurate interpretation of how it is going to look upon completion. Exterior signs - External office signs cover everything from a monolith sign to external door signs. These are often the first signs people will see and should give a strong representation of your brand. Reception signs - Reception desk branding makes use of large reception desk fronts to display company logos and slogans. 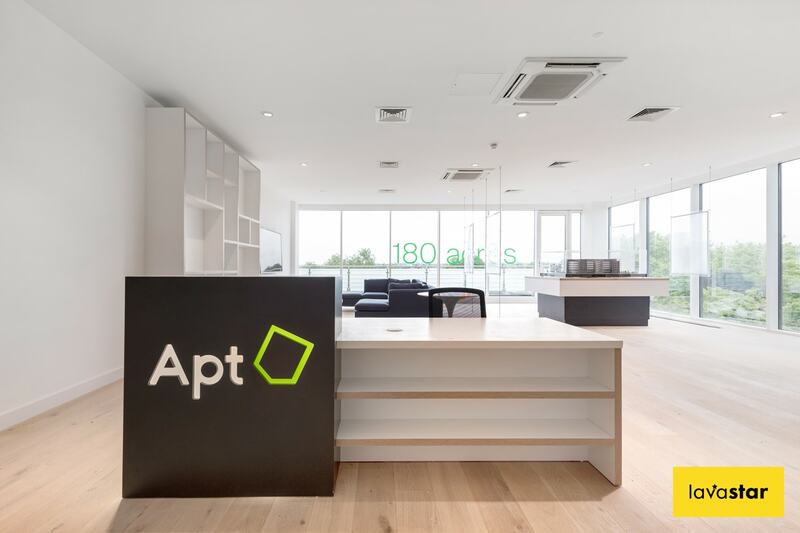 This is a great example of reinforcing your office branding in a simple yet effective way. 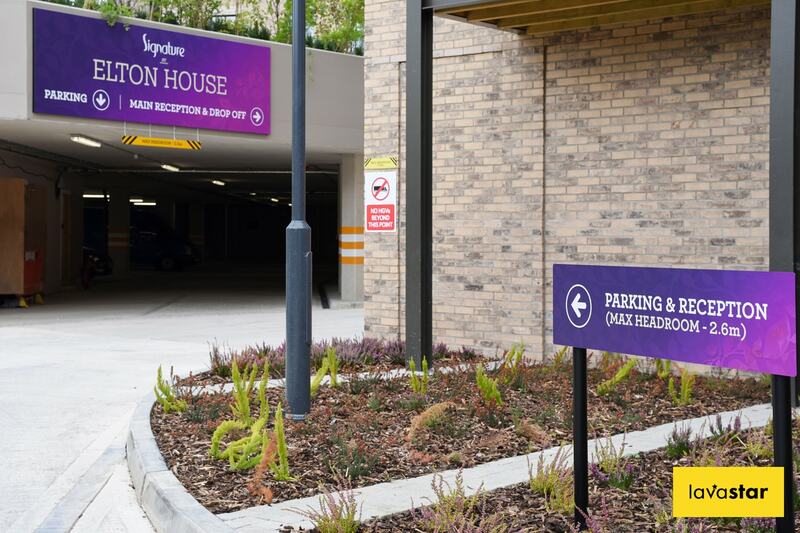 Estate signs - Office parking signs serve an obvious purpose, but branded office parking signs will give your company a more professional image and help tie together your overall office branding. 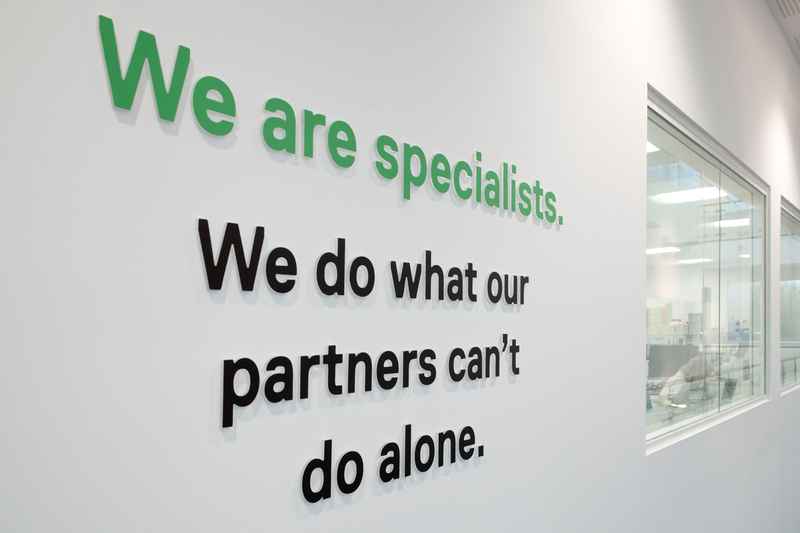 Wall graphics - Office walls can be branded with vinyls, 3D cut lettering and more to display company logos, slogans or motivational quotes. This is a great way to make use of blank, empty space to create interest. Floor graphics - Office floor vinyls are essentially printed or plain vinyl with non-slip technology which can be applied to uncarpeted office floors. The possibilities with office floor vinyls are endless, they can cover large floor spaces or be cut into smaller stickers. Directional signs - Navigational office signs are especially useful in larger offices to direct staff or visitors to wherever it is they need to go. Also known as office wayfinding, these signs should match your overall office branding. Lavastar have small teams of professional, polite and well presented office signage installers who work across the whole of the UK. 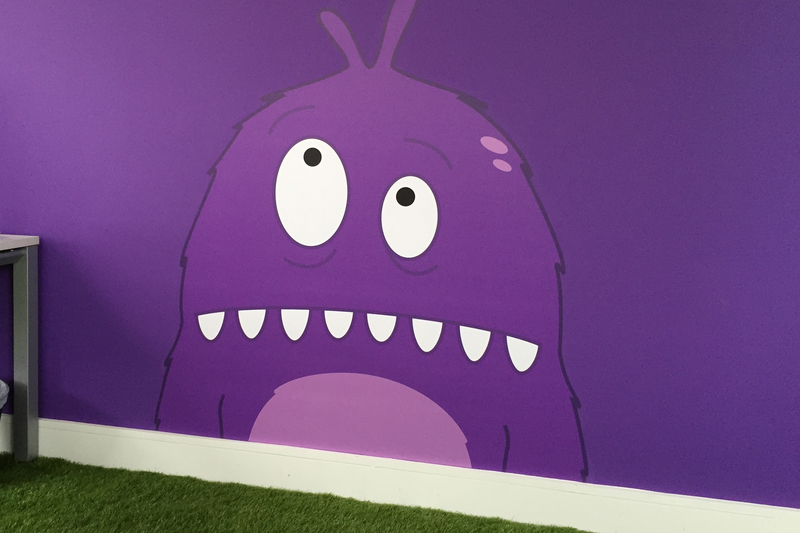 Our office branding installations are designed to be as smooth and hassle-free as possible. We are very flexible and can work around your office hours if needed to ensure that installation does not disrupt your working day. 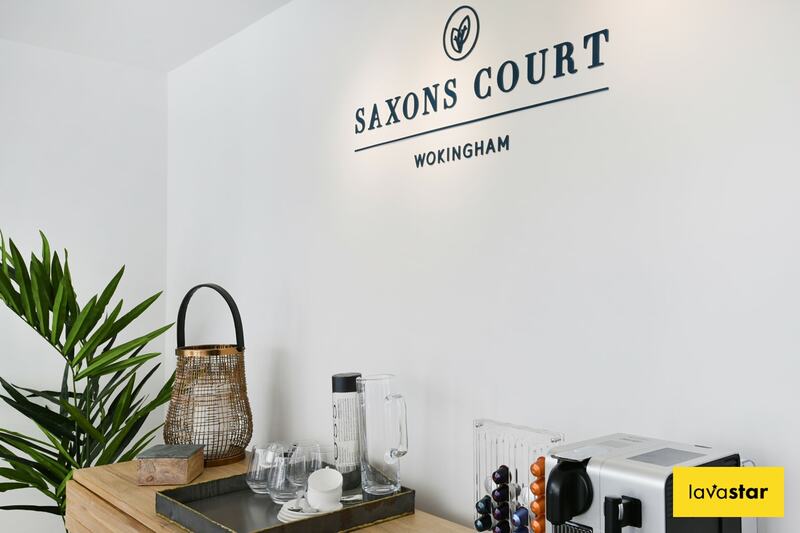 We will also clean and remove any mess made as well as put furniture back in its original place so that work can resume as normal, just with a new and improved office that your staff can get excited about. On many occasions Lavastar over delivered on quality of the work, creativity on our design and the delivery times were always on time or before. I would highly recommend Lavastar to other corporate clients. Lavastar are passionate about what they do and experts in their field. This is evident in their approach from the initial design stage to post completion. Working with Lavastar has been easy and professional from start to finish. Their creative ideas simply fly off the page and stand out amongst the competition; no one else came close. With Lavastar having the ability to survey, design, print and install your office signage and branding all in-house it not only makes your life easier but results in the job being delivered faster.